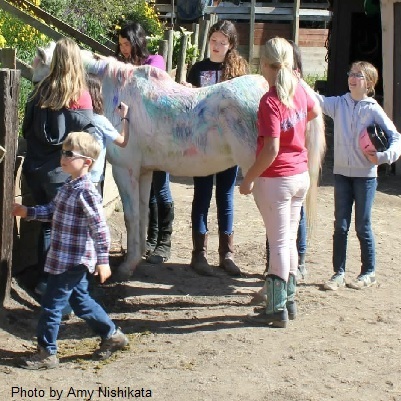 Birthday Pony Class and Party! At a birthday pony class and party the children will be introduced to the ponies and learn all about them. They will then get a one-on-one demonstration on the pony learning basic riding techniques. After all that we will play games on pony back as well as un-mounted games, and equine education. All pony classes take place at Pleasant Valley Horse Club. Available Saturdays only. 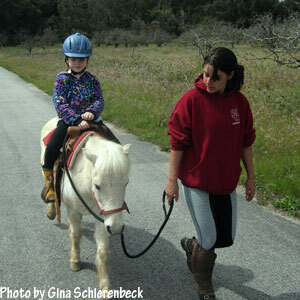 Please contact the office to schedule a pony class (831)763-2733 or email us. Includes 2 hours of: 30 minutes of Pony Rides and two 30 minute activities/games for 10 children. At the of horse activites you will have 30 minutes for your cake, presents, etc. Cost $400 *Additional fee if more than 10 children. For these party hours our fully experienced staff/handlers will help you enjoy each station with your friends. 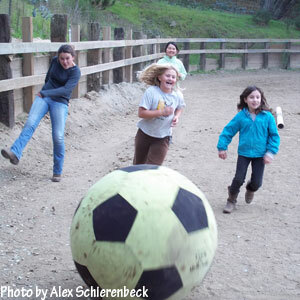 We offer a safe and insured environment for you and your friends to play and learn about ponies. We do require all participants sign a release form upon arrival, wear closed toed shoes & helmets. Horse shows are a great experience for our riders! We focus on meeting the goals we have set in our lessons and having fun. This is an opportunity to show off to our friends and family what we have been working so hard on in lessons. If you are interested in attending one of our upcoing shows, please contact the office for specific details and paperwork. 831-763-2733 or pvhc@aol.com. Please see the Calendar at bottom of page for Horse Show dates. For our Advanced students only. Join us for a night learning to work cattle! This is a friendly, educational experience away from PVHC but with the comfort of PVHC's horses and instructors. Please sign up in the office! Come by PVHC for our annual Holiday party. 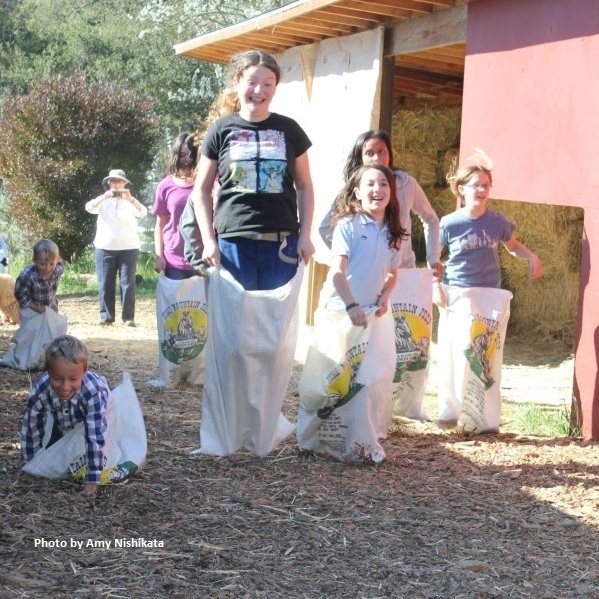 Dinner, pony rides, games, and more! Bring a $10 unlabeled gift if you want to participate in the gift exchange. 3:00-7:00, $25.